For those looking for elder care services in Miami and surrounding communities, Value Care provides a connection between our clients and qualified, compassionate home health caregivers. Based in Miami, we have been offering our referral services since 2007 and have built our locally owned company on the pillars of quality, honesty, and savings. We connect qualified caregivers with our clients, according to their true needs. Once caregivers pass our rigorous FIVE STAR PROMISE tests plus legally required screening processes, only then will we match them with our clients. Caregivers who pass these tests are more experienced and better qualified. We believe you should be able to get More Help with Less Worry. When we refer our clients a qualified and compassionate caregiver, choices about care and scheduling are now in our clients’ hands. We know every individual client has specific needs, and we take the time to listen to them before referring caregivers. Once we find a match, we rely on our First Day Satisfaction GUARANTEE to assure the best possible outcome. 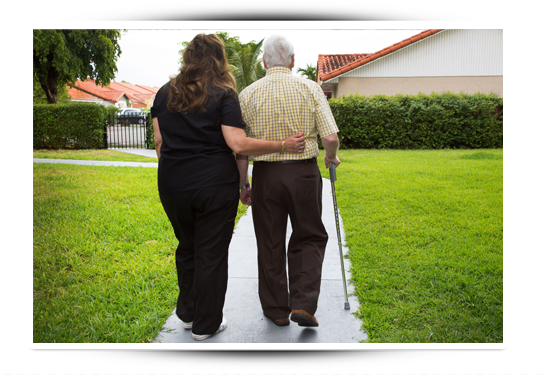 For people in need of home health care in Miami, finding compassionate and qualified care can be overwhelming. Consider Us first because of our Care Match Program and discover how our innovative programs and expert services can help you. During our free consultation with you, we will ask you questions about your loved one’s schedule, care needs, hobbies, activities, and what you are looking for in a caregiver. This way, we can be sure we are referring the best-matched caregivers to you. By letting clients choose their schedules, whether they need long term care or around the clock care, we offer the most affordable rates available. We don’t add on extra fees for weekend or holiday visits, and we don’t require a minimum amount of days for your care. Our clients don’t pay for care they don’t need. Whether you need help at home, in a nursing home or assisted living facility, or anywhere else, we find caregivers who will come to you. The caregivers we connect you with can help with homemaking tasks, personal support, errand assistance, and companionship. Whatever your needs are, Value Care will refer you to the right caregiver. We strongly believe our clients should Pay Less and Get More Care, which is why we are the low cost option for clients in Miami and throughout Florida.